Custom 5x7 - Postcard Printing | Print Postcards, Club Flyers, Business Cards & More at ClubFlyers.com | Spend Less. Print More. CORE 32 Pt. / 46 Pt. product launch or amazing sale. Choose a size, select a template, or create from scratch. Turn one design into many in minutes with the Resize tool. From business cards to posters, our easy-to-use, professionally designed templates, empower designers of all levels. Have your print files ready to go? Select your specs, upload your files and we'll take care of the rest. 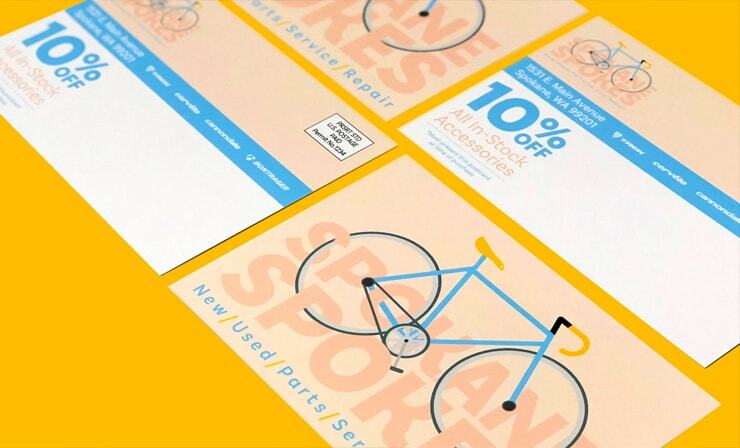 Postcards are ideal for mailing, marketing and takeaway materials at storefronts. They can be die cut and perforated for customized branding. Postcards come in three different stocks; Economy 11 Pt, Standard 14 Pt and Heavyweight 18 Pt. Each varies in thickness for your printing needs. 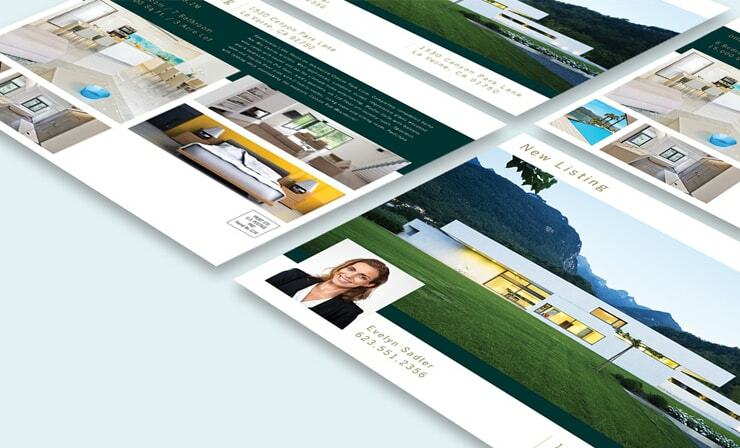 Apply a finish to your Postcards that highlights your design and makes them stand out. Available in Low Gloss, High Gloss, Satin Flood, or Spot UV. Postcards are great marketing material for any type of business. Announce sales, new products, or list information about your business or restaurant. Available in a variety of sizes for Direct Mailing. Reach new clients at home and offer your services, announce sales or open houses in the neighborhood. 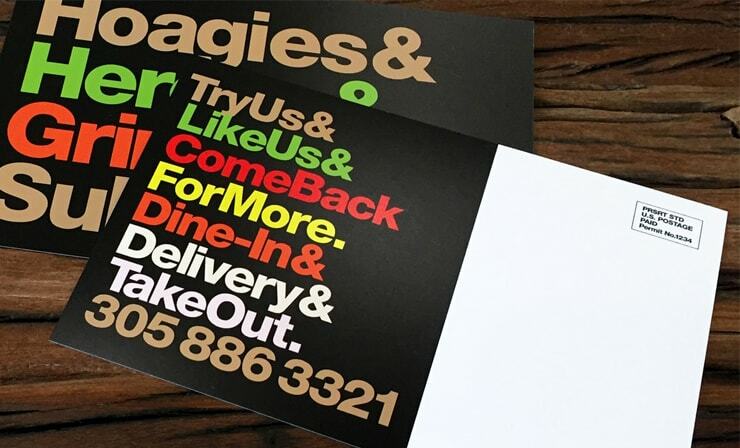 Design postcards that your clients will want to hang on to for great takeaway advertising. Great as Thank You notes at your register or reception area. Start an ad campaign with well-designed postcards and encourage your clients to frame them as art prints. Great at art shows and conventions. 11 Pt. Economy cover stock is a heavier paper that retains crisp fold lines and holds its shape when unfolded. It is durable and withstands handling without creasing. A traditional and thick paper stock, 14 Pt is a printing industry standard. It is resistant to bending and able to withstand wear and tear. It is ideal for printing that will be handled frequently. 18 Pt is an ultra-thick paper stock that lives up to its Heavyweight moniker. It is a weighted paper that can be die cut and will retain its shape, remaining hard-wearing and sturdy. UV Coating is a high-gloss finish with a laminated feel and sleek appearance. It improves durability, making print less susceptible to smudging and abrasion. Also known as No Coating, No UV Low Gloss still retains a slight gloss, and allows for writing directly on your print with pencil, pen or Inkjet printer. Spot UV is a coating that is applied to chosen areas (spots) of a print, highlighting that part of the design as it reflects the light and adding texture. Satin Flood adds a textured finish that is resistant to fingerprints and produces an amazing tactile and visual effect. It is slightly matte and has no shine. In order to make your print buying process as easy as possible, ClubFlyers.com offers a wide array of our most popular sizes as standard products. In addition, we also provide you with the ability to create Custom Sizes in order to allow you full creative freedom. A note on size: Any flyer or postcard you purchase from ClubFlyers.com needs to be cut out of a bigger sheet before we ship it to you. For example, if you order and submit a 4 x 6 Postcard, we will cut it out of a sheet and the end result will be a postcard that is roughly 3.875 x 5.875 inches. This is true of all of our sizes with the exception of Business Cards. Business Cards actually trim true to size at 3.5 x 2 inches. If you are not clear on our cutting process please contact us at 800.433.9298 so that a customer service representative can provide you with further information. All products on ClubFlyers.com are printed in the increments listed in the drop-down menu. Please note that when changing quantity options, other options such as turnaround and coating may change back to default settings. If you are interested in quantities greater than those shown, please fill out the Custom Quote Form and a customer service representative will provide you with pricing for your order. For most postcard and flyer products, you have the option of printing on either our 14pt Extra Thick Cardstock or our standard 11pt Thick Cardstock. Both options have a gloss finish and showcase full color images with great detail. You also have the option of adding an even higher gloss finish by selecting the UV Coating under the Coating drop down menu. The difference in feel between the 14pt Extra Thick Cardstock and the 11pt Thick Cardstock is significant. If quality is your number one concern, we suggest you upgrade to the 14pt Extra Thick Cardstock. If cost is a priority, then the 11pt Thick Cardstock is your best option. By selecting 2-sided, this means that your piece will be printed on both sides in full color (photo quality CMYK printing). 99% of ClubFlyers.com print orders are printed with the Full Color Both Sides option. If you select 1-Sided, this means that only one side will be full color (photo quality CMYK printing) with the other side being white (no ink). Keep in mind that if you selected the UV Coating option your blank back side will still be UV Coated even if it contains no ink coverage. In rare cases, you may want to print the same image on both sides. This can be accomplished by selecting Same Image Both Sides. If you are not clear on our color options please contact us at 800.433.9298 so that a customer service representative can provide you with further information. Bindery options are operations performed after the printing process. ClubFlyers.com offer a diverse set of bindery options which allow you to further customize your printed pieces and allows you to fully explore your creativity. Please keep in mind that selecting any of our bindery options will cause your turnaround to be affected. How many extra days are added will depend on what specific bindery option you choose but it can range anywhere from 1 to 4 days. Rounded Corners: You can add an interesting look to your piece by rounding out the corners. Also, you can download the die template for any of our postcards or flyers from our templates page. Score Only: Scoring creates a deep crease, allowing for accurate folding without cracking the paper. To show us where to score, draw a dotted line (ex., "----------") beside your artwork in the bleed margin or otherwise outside the print area. Note: Your product must be at least 3 x 4 inches. Score & Fold: Scoring creates a deep crease, allowing for accurate folding without cracking the paper. To show us where to score and fold, draw a dotted line (ex., "----------") beside your artwork in the bleed margin or otherwise outside the print area. Note: Your product must be at least 4.25 x 4.25 inches. Perforate: Perforation allows for clean tearing of the paper product across a straight line. To show us where to perforate, draw a dashed line (ex., "----------") beside your artwork in the bleed margin or otherwise outside the print area. Note: Your product must be at least 3 x 4 inches. Single Hole Punch: Adds 1/8" (.125 inch) hole for hang tags. Holes will be drilled according to your placement of small 1/16" (.0625 inch) dots in your artwork. • When submitting your artwork, you will also need to submit an outline file created as an EPS, PDF, OR JPEG. • Be sure that your artwork fits the exact size and shape of the die you have selected. • Be sure that the file includes a 1/8" (.125 inch) bleed outside of the entire cut-line. • Include a 1/8" (.125 inch) safety area within the cut-line where there is no text or important images. • If you have a border, it must be at least 1/4" (.25 inch) on all sides. • Submit your file with an extra 1/2" (.5 inch) of blank space on all 4 sides for the gripper to hold your job for die cutting. • Failure to follow these instructions will result in you files being rejected and your job being delayed. If you are not clear on how to submit a custom die cut or have any other questions relating to bindery options please contact us at 800.433.9298 so that a customer service representative can provide you with further information. When you need to fold your piece or add a straight perforation select one of these options. If you have any questions about design, please contact us our Customer Service Department at 800-433-9298. 99% of the jobs we run at ClubFlyers.com are done with an Online Preview. We do an excellent job of getting colors as close as possible to your original We do an excellent job of getting colors as close as possible to your original artwork. You do not need a color proof unless it is extremely critical that your colors come out exactly as you wish. A note on color proofs: color is extremely subjective, if you waive your right to a color proof, we will match color to the best of our ability and will rely solely on our professional judgment. If your job is color critical you must request a Hardcopy Mailed Proof along with your order. The fee for the Hardcopy Mailed Proof includes FedEx overnight fees as well as the cost of the proof. Requesting a color proof will add at least 3 days to the turnaround time on your order. If you are not clear on our proofing options please contact us at 800.433.9298 and a customer service representative can provide you with further information. Actual dimensions are .625 inches x .0625 inches. Tagging your orders is the only reason we have been able to maintain such incredibly low prices in today's challenging environment. We do understand that in some instances a customer feels more comfortable removing this tag. We give you the option of removing our tag for a product dependent nominal fee. If you are not clear on our tag options please contact us at 800.433.9298 so that a customer service representative can provide you with further information. Either Upload your artwork at the end of the ordering process or we can design it for you. You are in great hands! We will come up with an eyecatching design that you are sure to love. Our design team will make the process stress free and go beyond your expectations. If you have any questions about design, please contact our Customer Service Department at 800-433-9298. Our standard Turnaround Time policy is in by 8pm, out by 8pm. What this means is that your order will be ready to either ship out or pick-up by 8pm EST on the last business day of the printing turnaround time that you have selected. The process will begin once your artwork has been approved by our artwork department. Our Artwork Department is open Monday through Friday until 8pm EST. Below are some examples of our Turnaround Time policy. For a detailed look at our Turnaround visit our Turnaround and Shipping. Based on your order being placed today before 8pm EST. Use these templates to guide you. size is 4 x 6". Type cannot extend past this line. The measurement is 3.75 x 5.75". size is 5 x 7". The measurement is 4.75 x 6.75". size is 8.5 x 5.5". The measurement is 8.25 x 5.25". size is 6 x 9". The measurement is 5.75 x 8.75". size is 6 x 11". The measurement is 5.75 x 10.75". 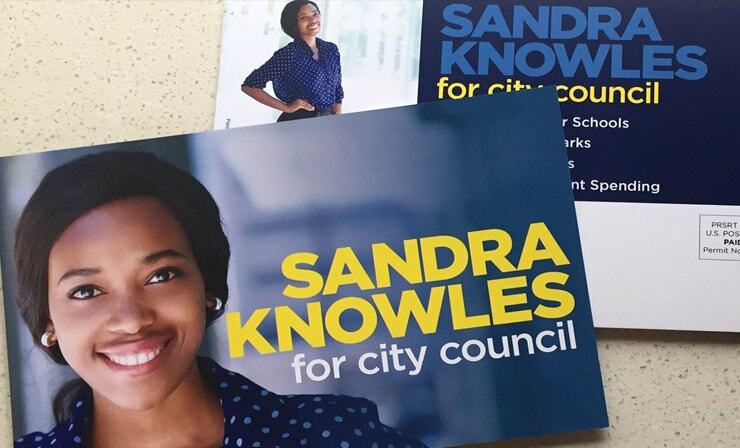 Compact and easily distributed, 4 x 6 Postcards workl for promos, conventions, and point-of-sale marketing. 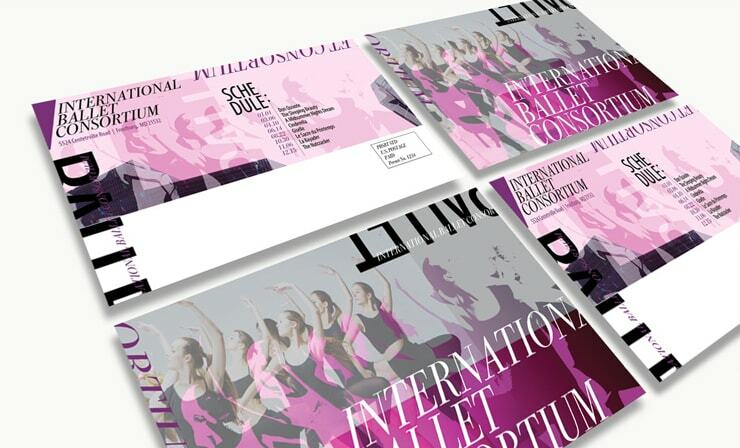 Perfect for mailing and for distributing at events, 5 x 7 Postcards can announce sales, products and more! 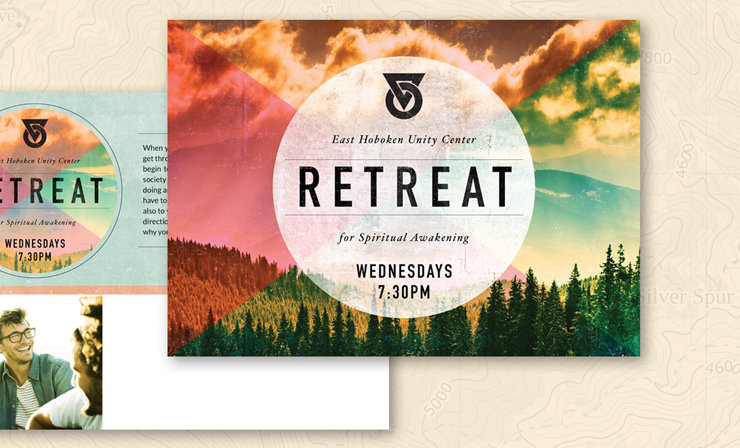 Whether mailing out or handing out, 8.5. x 5.5 Postcards offer plenty of room for images and text. Showcase photos and branding on these 6 x 9 Postcards. Great for announcing events and details. One our most popular mailers, also work well as informative material at orientations and meetings. Ideal for Real Estate showcasing various photos of properties or as informative product launch material. Customizable Flyers in a variety of sizes, shapes and paper stocks to fit your business and events. Reach 5,000 potential clients a day with no mailing list. Choose from many different sizes. Customize your cards with Spot UV and CORE and make an impression. Sign up to save 20% on your first order. Get access to exclusive sales and product news when you join Clubflyers communiy.